George reproduces a lot of Mopar lenses But he's looking for other lenses: If you've a pair of non-listed lenses, please contact him. I'll add the new addition to the list as soon as they 'll be available. 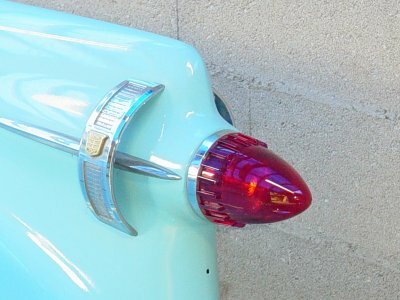 George sells also his stuff on ebay (Desotogeorge) so take a look at his positive feedbacks..
1953/54 Chrysler Tail Lenses $90.00 pair ( Wagon only ) Back-up $50.00 pair. H/top Dome's $80.00 pair, 300 Park  $80.00 pair. 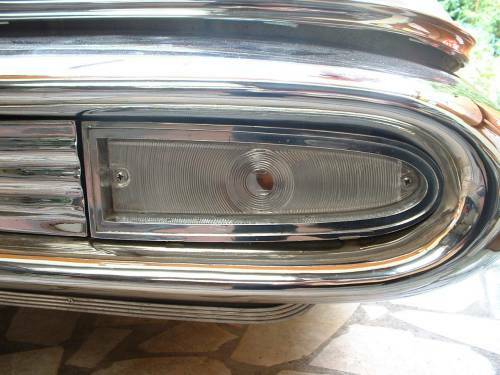 1956 Chrysler Tail Lenses $225.00 pair, Back-up $150.00 pair, Licence Light $30.00 pair. Dome $25.00each H/top Dome Lenses $80.00 pair. Dome Lenses- H/top $45.00 pair. 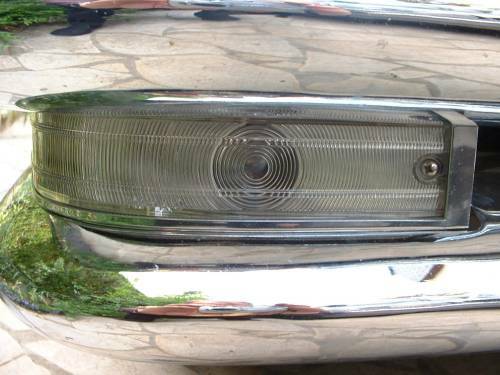 1960 Chrysler Front Park Lenses $90.00 pair, Licence Light Lens $25.00 each, Back-up $40.00 pair. Dome Lenses- H/top $60.00 pair. 1961 Chrysler Front Park Lenses $100.00 pair, Back-up $40.00 pair. H/top Dome Lens $35.00 each. 1962 Chrysler Front Park Lenses $100.00 pair. Tail Lenses $225.00 pair. Sedan Dome $35.00. 1956 Imperial Tails $80.00 pair. Park $100.00 pair - Back-up $130.00 pair. 1957 Imperial: Park $125.00 pair,  see pic . 1960 Imperial Back-up $90.00 pair. Dome Lens $45.00 each. Map $15.00 each. Reflector $60.00 pair. 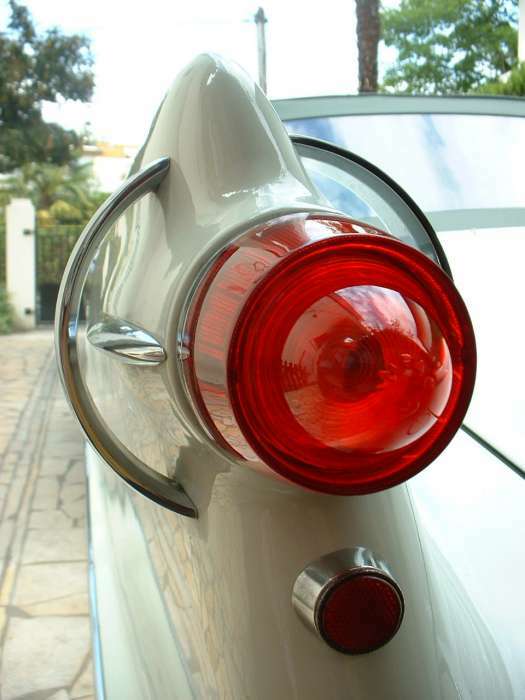 Tail lens: coming soon ..
1962 Imperial Tail $150.00 pair. Back-up $90.00 pair. Dome $45.00 each. Map $15.00 each. 1963 Imperial Back-up $90.00 pair. Dome $45.00 each. 1964 Imperial Back-up $90.00 pair. Dome $45.00 each. Tail Lenses Wagon $90.00 pair ( reflectors included ) Back-up $50.00 pair. 1957 Desoto Park $90.00 pair Licence Lens $25.00 each. Dome Lenses- Sedan $25.00 each, H/top $45.00 pair. Licence Lens $25.00each. Dome Lenses- Sedan $25.00 each, H/top $45.00 pair. 1960 Desoto Front Park Lenses $90.00 a pair, Dome Lenses H/top $60.00 pair. 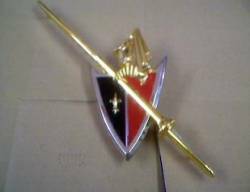 Hood Emblem ( Chrome ) including Insert ( Gold Reliefs ) $150.00 each. 1961 Desoto Front Park Lenses $100.00 pair. H/top Dome Lenses $45.00 pair. 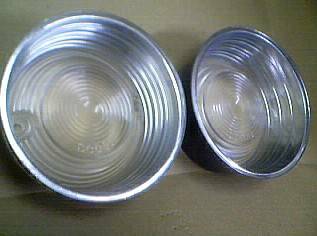 1957 Dodge Dome Lenses- Sedan $25.00 each, H/top $45.00 pair. 1958 Dodge Park Lenses $50.00 a pair. Sedan Dome $30.00 each. 1959 Dodge Dome Lenses- Sedan $25.00 each, H/top $45.00 pair. Wagon + Swepside Tail Lens $70.00 pair, Licence light Lenses $35.00 pair. 1960 Dodge Back-up Lenses $60.00 pair ( not Polara ) Dome Lenses H/top $60.00 pair. Polara Fin Lenses $100.00 pair. 1962-64 Dodge Sedan Dome $35.00 each. 1959 Plymouth Dome Lenses- Sedan $25.00 each, H/top $45.00 pair. 1960 Plymouth Front Park Lenses $80.00 pair. 1965 Plymouth "Sport Fury" Fender Emblems ( Chrome ) $75.00 pair. 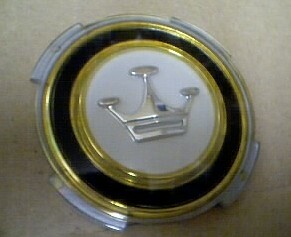 1957 to 1962 Convertible Courtesy Light Lenses ( small round ) $25.00 a pair. These also fit the centre console lights up till about 68, but they will need to glued in.